Product prices and availability are accurate as of 2019-04-18 06:38:11 EDT and are subject to change. Any price and availability information displayed on http://www.amazon.com/ at the time of purchase will apply to the purchase of this product. The easiest website design program available. Quickly and effortlessly create professional looking websites without having to know any HTML or coding. SiteSpinner is a completely visual, drag-and-drop website creation tool. Click, place and move any object in the SiteSpinner work-window using your mouse, and position it on the page exactly where you want it. 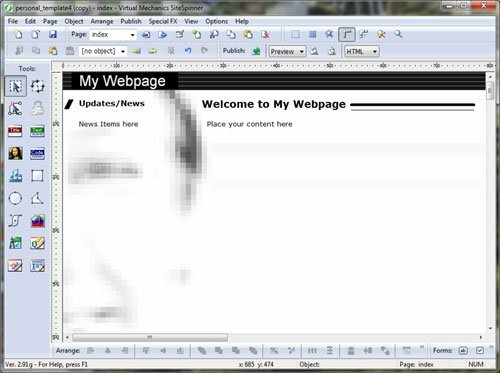 SiteSpinner truly is 100 percent WYSIWYG - What You See I What You Get. The all-in-one editor. Web Pages, Graphics, Search Engine Optimization. With SiteSpinner there is no need for separate programs to perform different tasks. Quickly and easily create special effects such as mouse-over effects; add foreign objects to your site such as Flash and PDF files. Build Tables, Forums and Frames. 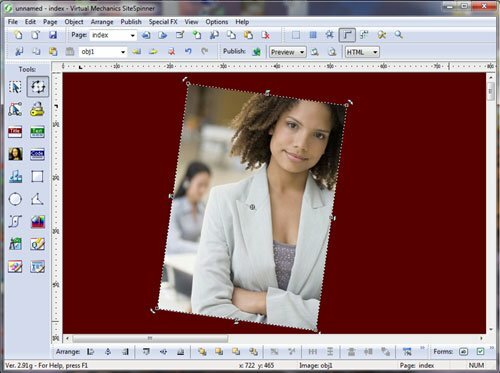 SiteSpinner also includes an Image Editor so you can adjust your photos and even create graphics for your website right in the work-window. Search Engine Friendly Websites. SiteSpinner is one of the few visual website creation tools to produce industry-standards compliant HTML websites. The sophisticated HTML web pages created by SiteSpinner ensures that your web pages are easily indexed by all major Search Engines. What is more, SiteSpinner includes professional Search Engine Optimization software to ensure your site gets top rankings. With SiteSpinner you get unlimited online Support. We don't disappear once you make your purchase - we're here to help you when you need us. SiteSpinner includes extensive online Web Help, Interactive Tutorials, a full PDF User Guide, and busy Community Forums - all at no extra charge. 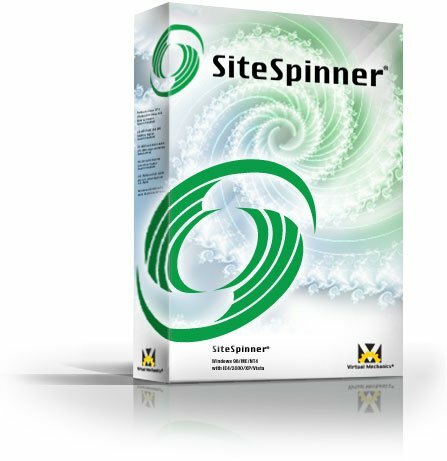 People have been creating professional websites with SiteSpinner since 1998, including many loyal customers still using it to this day. We are always here to help ensure your website is a success. One-click publishing. Once you have designed your new website, SiteSpinner takes the frustration out of publishing it to the web. Uploading is made easy - simply click the Publish function and the SiteSpinner Publisher takes care of uploading all your pages and images to your web-host and ensures that all your links are working. What's more, if you do not already have a web host, SiteSpinner has partnered with industry leading web hosting provider Bluehost to provide unlimited web-hosting at discounted pricing.